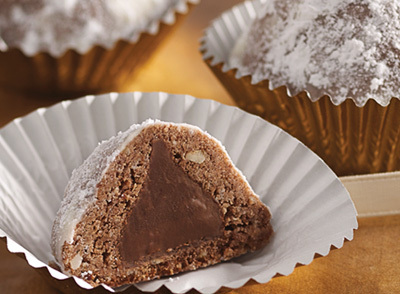 Hershey’s New Cookie Headquarters and Kisses Giveaway! 3 Winners! It’s Cookie Time! I love this time of year because of all the baking that goes on. Both my mom and grandma would make many different varities of cookies for Christmas. Some to give out for gifts and most for us to eat! I don’t have a crowd to cook for, but I will make some easy favorites for my boys. This new website is a one-stop online resource to help consumers with all of their baking needs! You can submit a baking question and receive advice from baking experts from both Hershey’s and Betty Crocker as well as gain tips and tricks for hosting cookie exchanges and holiday entertaining ideas. There are some super fun recipes on there! I think I need to make these too just because they have the cutest name and look YUMMY! 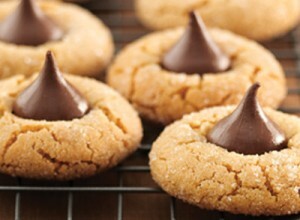 Who knew there were so many ideas made with Hershey Kisses? Another cookie on there that looked great was Red Velvet Blossoms that used Hershey Hugs. Gosh, people are so creative! Go submit your ideas too! 3 Winners will each get 3 bags of Hershey Kisses! Let’s Grill Out With S’mores! Giveaway! The Official Dessert of Tailgating! “build it, wrap it, grill it” preparation method. I would loved have this when I tailgated every weekend back in college. What a fantastic idea to make s’mores right on the grill! A fast and easy dessert and fun to share with all of your friends. It was our first semi-chilly night this weekend and we decided to grill out. It sounded toasty warm! C’Man was the most anxious to try this new method and he laid out his foil, built his s’more with a big piece of chocolate and two marshmellows! Folded it up and handed it to Hubby to grill. A couple of minutes on each side. And how it turn out? Into ooey gooey yumminess! Melted chocolate is a little messy but that didn’t deter us! We want you to try out S’mores for your Tailgating or Grill Out! I was sent s’mores ingredients for this review. I was not compensated in any way and all opinions are my own. This giveaway will end on Nov. 10, 2011 at midnight EST. Winners will be drawn via rafflecopter. Once a winner is drawn I will contact them and they will have 48 hours to reply before I draw a new winner. Giveaway is open to anyone in the US and you must be 18 years of age or older. Winner will be posted in the rafflecopter widget.